Well I have food for you. We all good now? 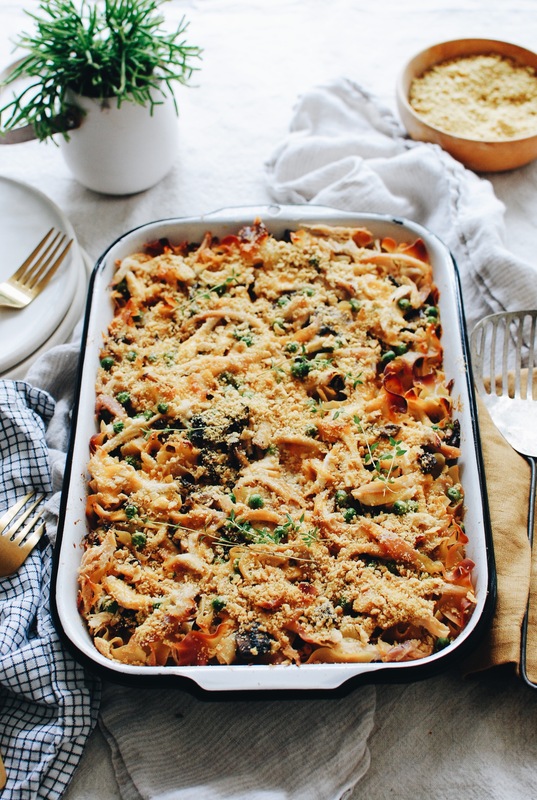 And it’s super fall-ish and cozy for your mouth! I knew you’d forgive me for being gone so long. 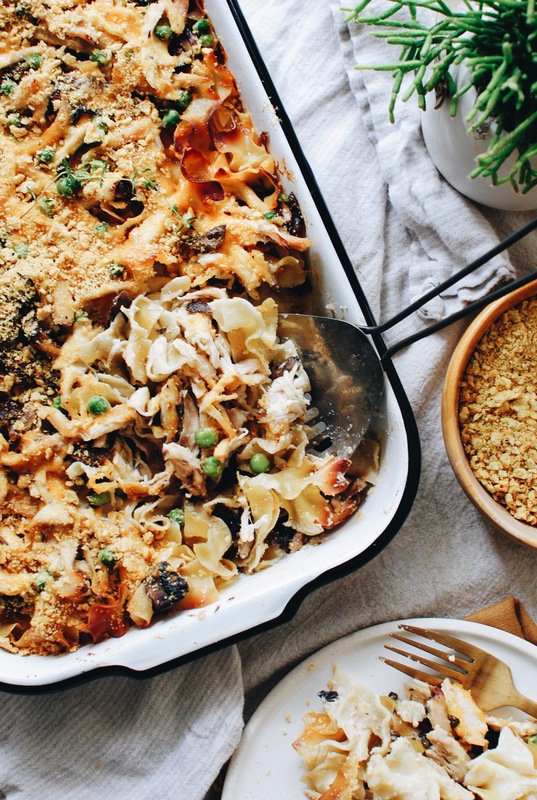 It’s a casserole o’ chicken and mushroom and noodle glory. Let’s peep it. All the basics! But I kept it simple and luscious with a rotis. Which you’ll shred until your soul bleeds jubilation. And sliced mushrooms! Which you’ll sauté until your eyes pour waves of unruly glee. Egg noodles! Because we’re classic. Shredded cheddar! Because WE AREN’T ANIMALS. And you can do this stuff at the same time, ya know. Shred while the mushrooms sauté. Start that cream sauce and keep it on a low simmer. 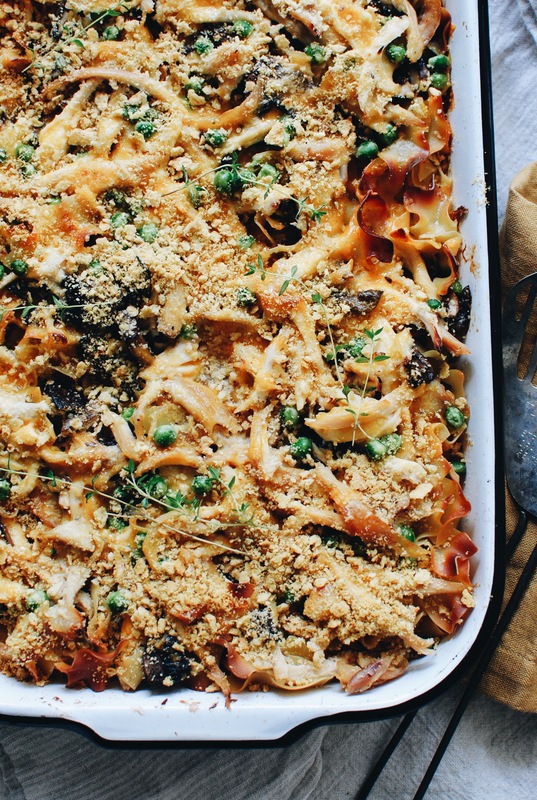 Stare at the egg noodles and know that true carb happiness is en route. AND HARK. The egg noodles are dry! I’m playing a risky little game, I know. But they will soon be covered in sauce, a bit of boiling water, and will be tightly covered and baking while you watch Friends reruns. All is well, man. And here you go, boo. It’s like, 40 minutes in the oven – 20 COVERED, then 20 uncovered and crackered. We should start a band called Uncovered and Crackered! No one likes us. It is seriously so good. The cream sauce is comforting, but elegant. It’s not gloppy and gloopy and gleepy (<–?) at all. 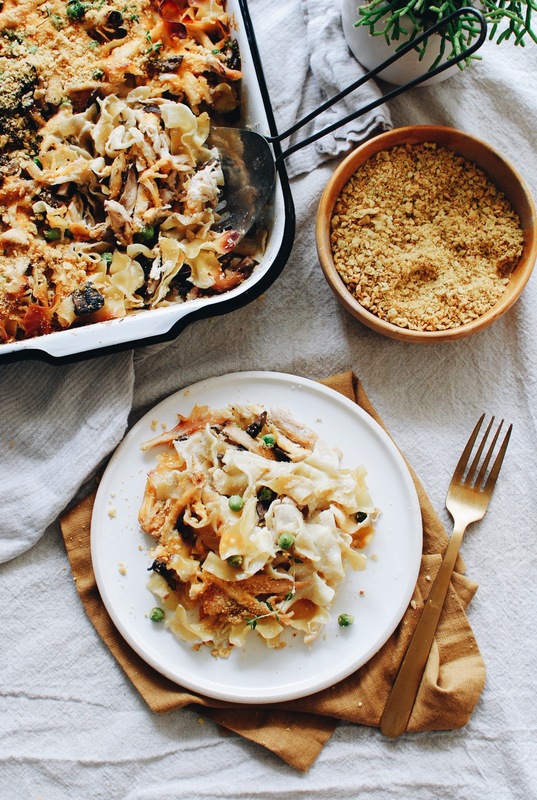 Everything is nestled and chicken-y and mushroom-y and pea-y and cheesy-y and it’s your new favorite fall cassie. That’s what I call casseroles. Cassie. You may certainly punch me. Heat the oil in a medium skillet over medium high heat. 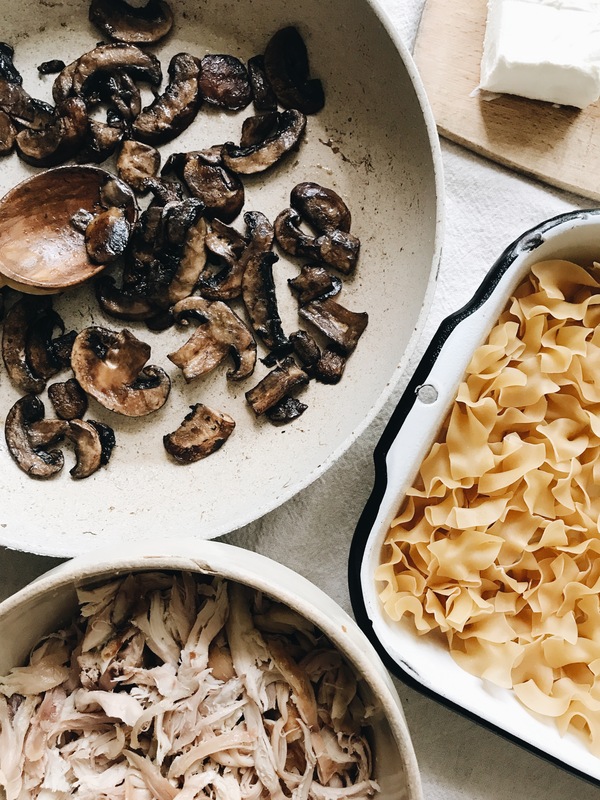 Season with salt, and sauté the mushrooms until they darken and become tender, about six minutes. In a medium pot, melt the two Tbs. butter. Once the butter starts to foam, whisk in the flour, until it becomes a paste, just a few seconds. Slowly add the milk and keep whisking for a few minutes, as the cream sauce thickens. Add in the room temp cream cheese and whisk until it thickens even more. Add a large pinch of salt and 1 Tbs. lemon juice. Taste it. Need anything? More salt? Get it right, babe. 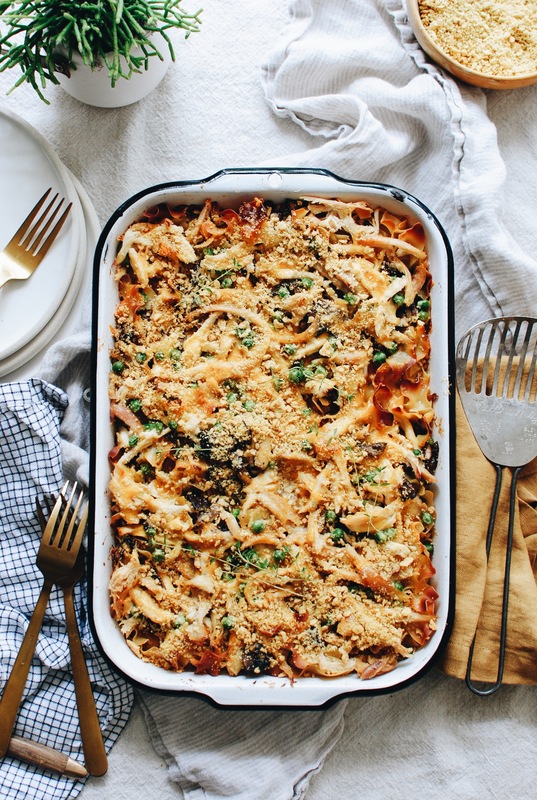 Arrange the dry noodles in the bottom of a casserole dish. An 8x13 is perfect! 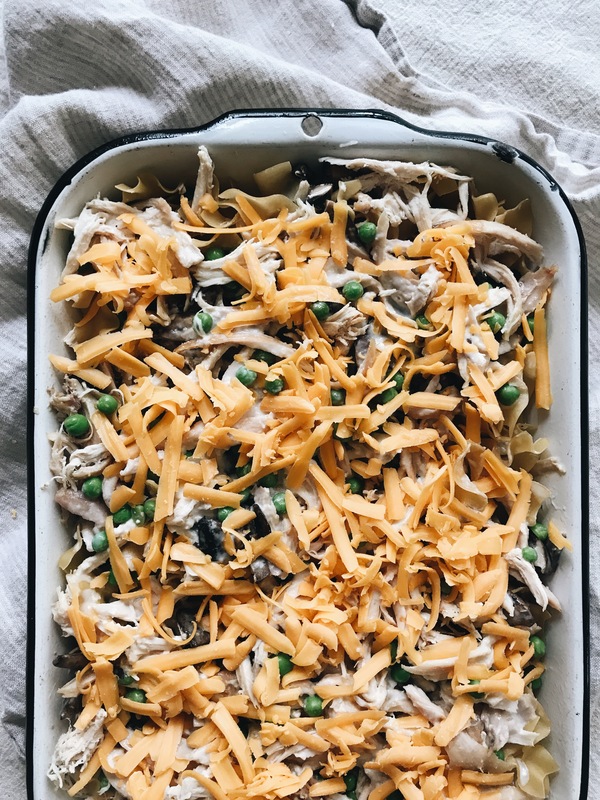 Layer about three cups of the shredded chicken over the noodles, and sprinkle in the sautéd mushrooms and peas. Pour the cream sauce over the noodles and chicken, along with half a cup of boiling water. Make sure all of the noodles are submerged in the liquid. Sprinkle the cheese over the dish, cover and bake for 20 minutes. Uncover and sprinkle on the crushed crackers. Bake another 20 minutes, or until the cheese is starting to brown and bubble. 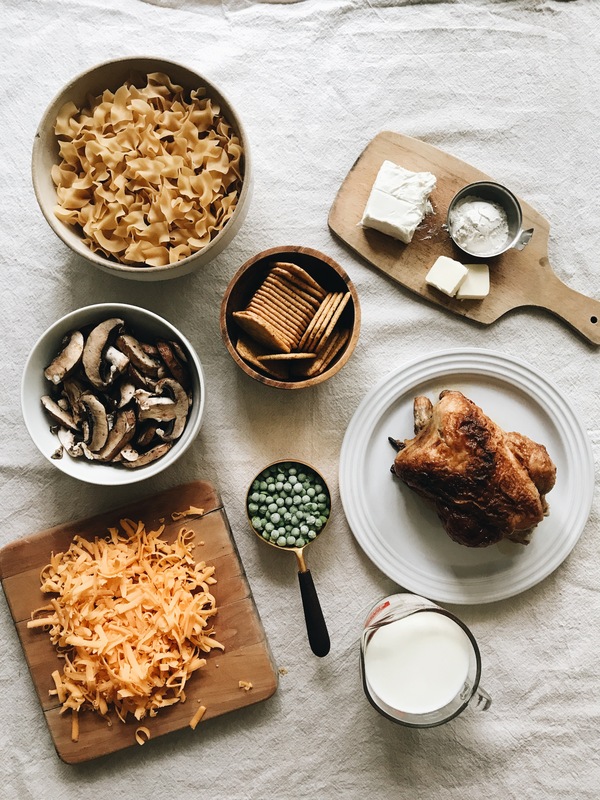 Serve family style and IMMEDIATELY. Like now. So like, you really don’t remember me? 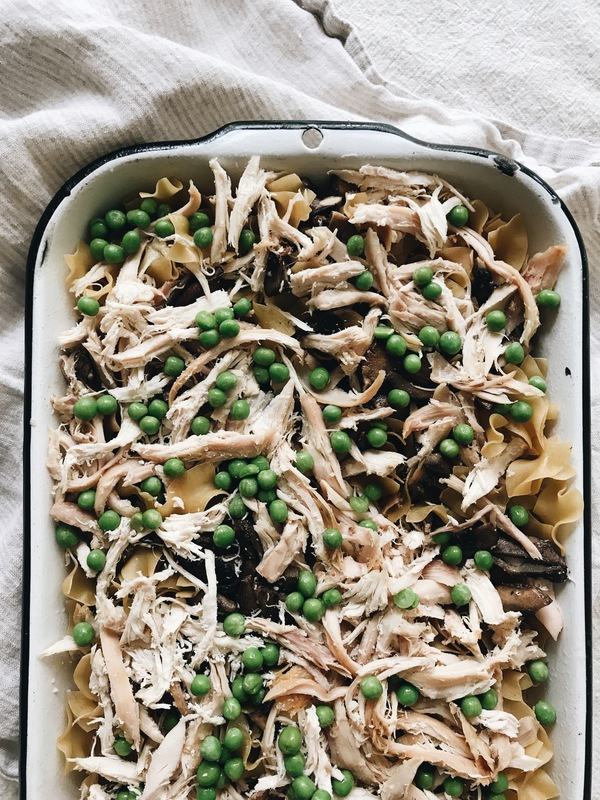 I love any dinner that includes rotisserie chicken. Less work for me! And, mushrooms are everything! Yummo and perfect for the kind of weather we're having. we remember you !!!! as long as you keep us in cassies (really?) we'll remember you. You know, he just scoots the cheese over! Most of it melts just right on the top, so he'll scoot it over and dig out the unders. I said unders. Turns out it was Canadian Thanksgiving this past weekend so this baby just became Turkey and Mushroom Noodle Cassie. And I'm not even sorry. Hey Bev Would this be ok to prep before swim lessons and put in the oven to cook when we get home? Or would it not work out? Debating making it tomorrow night for a post swim meal, but can’t decide if it needs to all be done step by step without breaks. Hey! I feel like you could totally prep this and then come later. Absolutely! Just cover it in the fridge while you're at swim lessons. Good to go! Honestly, I'd just leave them out! Make it easy on your life. Hope you love it! That's exactly what I did for dinner last night! It was so good! Even my extra picky eater loved it. Great recipe! Thanks so much! This was DELICIOUS ❤️ Do you think there would be a way to freeze it? I would assume after baking? Maybe without the cheese and topping then put those on then reheat? So glad you loved it! I think freezing would be just fine!